About UL International UK Ltd. - Products, News and Contacts. 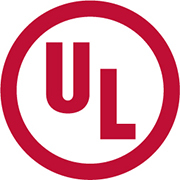 UL is a global independent safety science company with over 120 years of expertise in verification, testing and certification. Delivering market access solutions for Europe, the Middle East and Americas, UL offer the highest level of regulatory acceptance and market recognition for the challenging building and life safety technology industries. FOR MORE INFORMATION CONTACT UL INTERNATIONAL UK LTD.